Sources said the party’s top leadership has taken a view that the ‘The Accidental Prime Minister’ is a BJP propaganda and should be ignored. The former Prime Minister too refused to react to the contents of the movie. 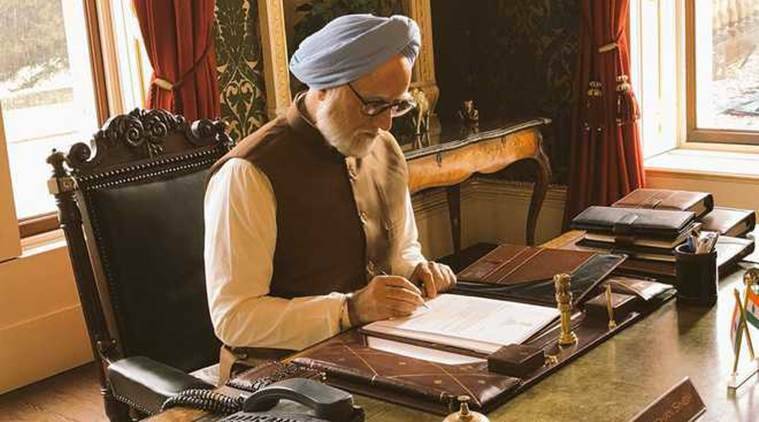 Anupam Kher will be seen as Dr Manmohan Singh in The Accidental Prime Minister. Amid the controversy over the movie on former prime minister Manmohan Singh, the Congress on Friday seemed to have taken a cautious line. Sources said the party’s top leadership has taken a view that the ‘The Accidental Prime Minister’ is a BJP propaganda and should be ignored. The former Prime Minister too refused to react to the contents of the movie. “Some things are best left ignored,” a top Congress leader told The Indian Express. “It will die its own death,” said another. But the party had to indulge in some bit of damage control. Its Maharashtra Youth Congress chief Satyajeet Tambe Patil had Thursday written to the film’s producer demanding a special screening before the movie is released as well as “course correction” in case there was any distortion in the way events were depicted in the film. And all the Congress WhatsApp groups flashed a message in the morning, asking workers to exercise restraint and not react to the movie. Singh, who was at the Akbar Road AICC headquarters to attend the foundation day event, refused to comment. The Congress has faced similar situations in the last few months — with the release of the movie ‘Indu Sarkar’ and then the Netflix series ‘Sacred Games’. It had been relentlessly attacking the Narendra Modi government, accusing it of regulating free speech, and hence speaking out would be termed as hypocrisy. Congress communication department head Randeep Surjewala said, “Such fake propaganda by BJP won’t desist the Congress from questioning the Modi government on rural distress, rampant unemployment, demonetisation disaster, flawed GST, failed Modinomics, all pervading corruption.” The party and its government in Madhya Pradesh was also quick to deny reports that the movie would be banned in the state. Meanwhile, the Punjabi Cultural Heritage Board (PCHB) has approached the Central Board of Film Certification (CBFC) to oppose the biopic. Stating that the movie’s content demeans the Sikh community and the former PM, in a statement Charan Singh Sapra, president of PCHB said the movie was also a violation of Section 295 (A) that pertains to deliberate act to hurt religious sentiments.